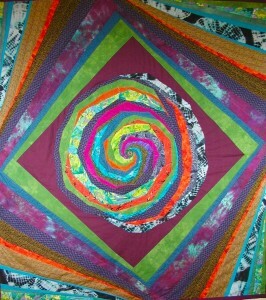 I want my quilts to wake you up, not put you to sleep. 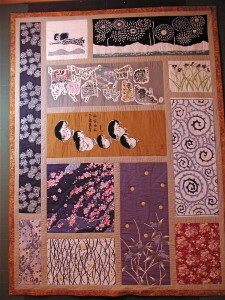 My quilts are elegant and unusual, with surprising colours, impeccable workmanship, and awesomely original designs. 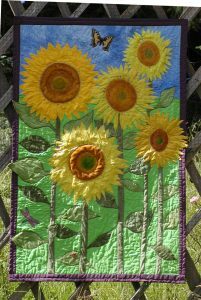 I make contemporary art quilts, bed quilts, baby quilts, kid quilts, nature quilts, and wallhangings of every size and description. I originate my own techniques and create my own unique designs, not following a pattern nor following the crowd. 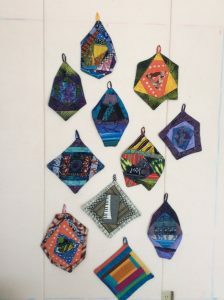 My smallest quilts are potholders almost too cool to use, decorative yet surprisingly functional. 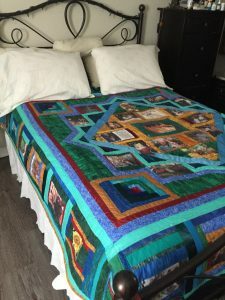 My largest quilts are works of art you can sleep under. 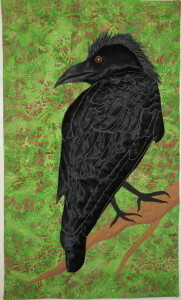 Nature quilts aim to capture the nuance and glory of plants, animals, and birds. 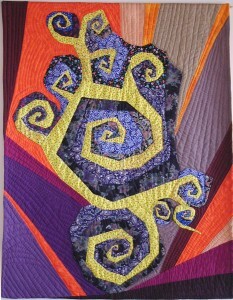 Commissions combine the client's vision for the quilt with my creativity, aesthetic sense, and craftsmanship. 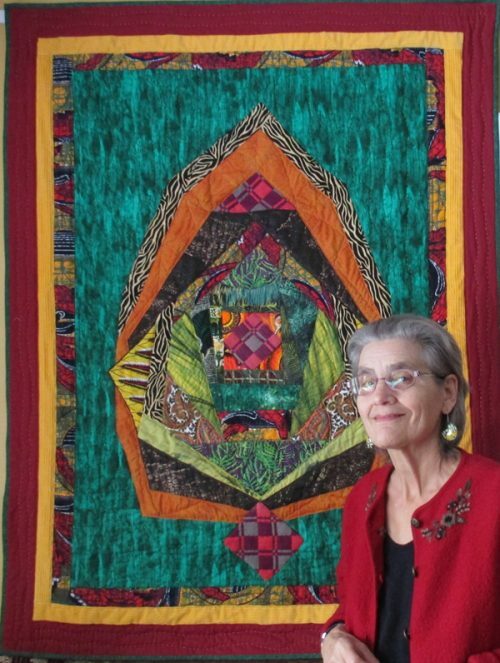 My personal quilts express my own visions and emotions, and may have significance only to myself, yet others often find them meaningful and appealing. 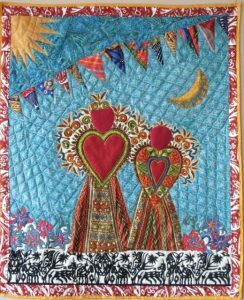 I believe that quilts can be eloquent and evocative, communicating mystery and magic, love or woe, outrage or idealism. 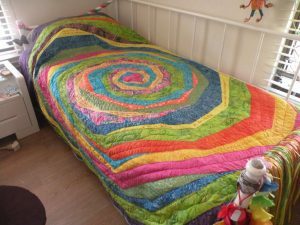 Quilts can express childhood memories, the wonders of nature, hope for the future, visual puns, or just the sheer joy of colour. 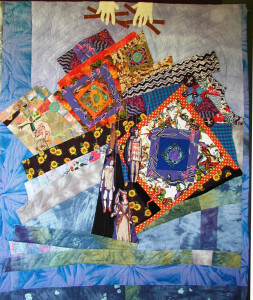 © 2019 Kristin Miller – Quilts on the Wild Side All Rights Reserved.